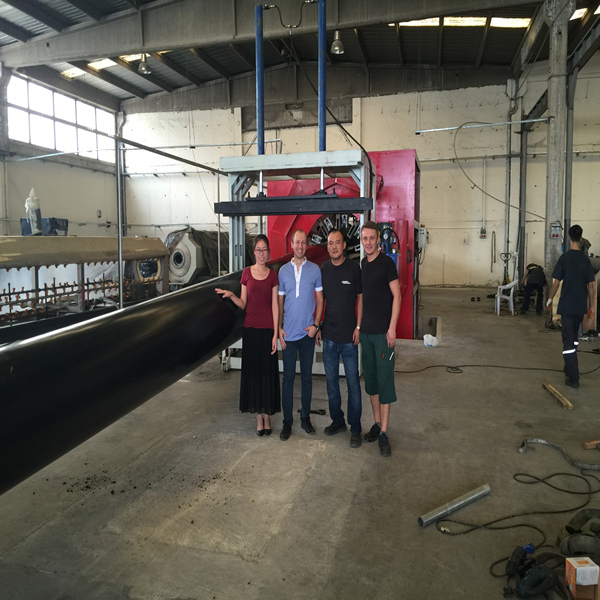 This production line produce the hdpe casing that is used for pre-insulated pipe. Inside is steel pipe,middle layer is foaming layer, outside is HDPE casing. This machine successfully running in Turkey in the year 2016.